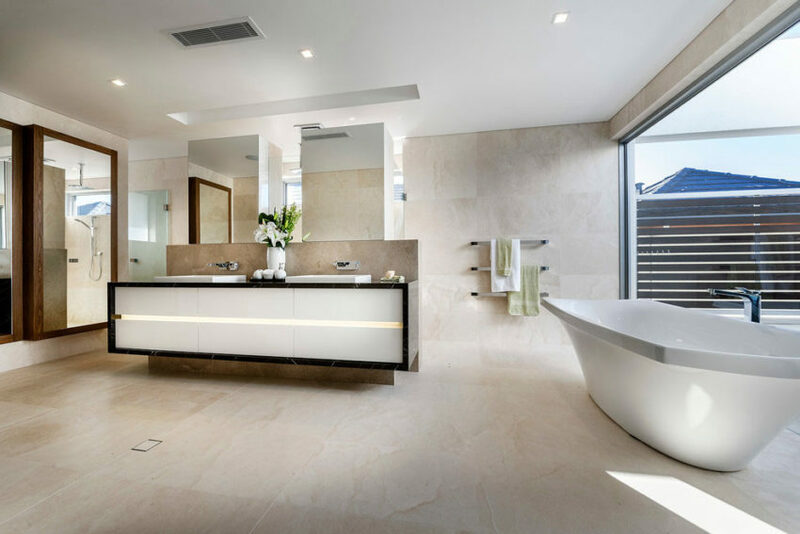 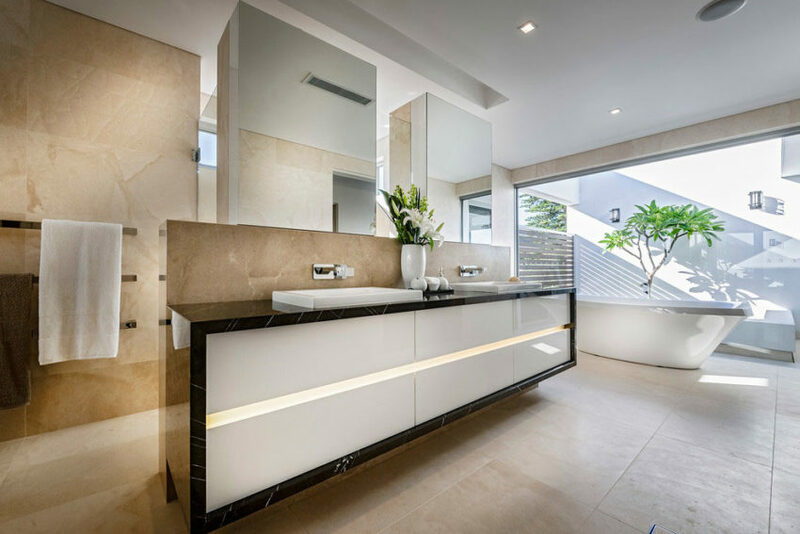 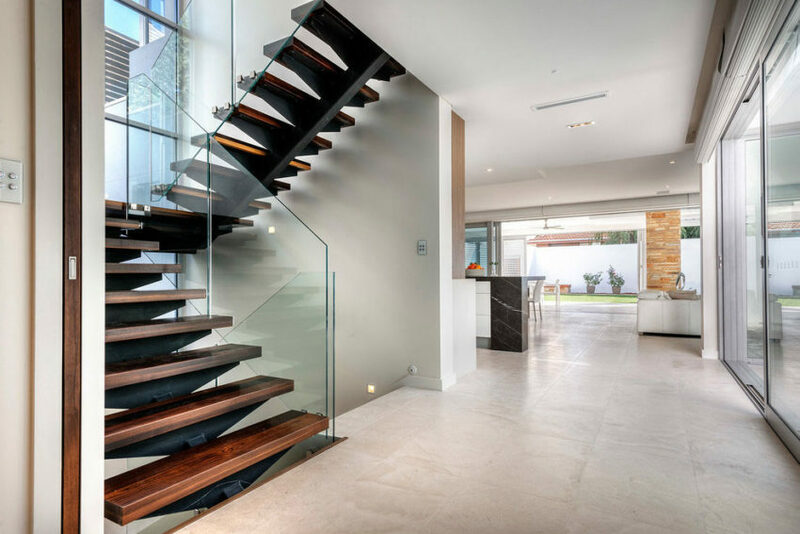 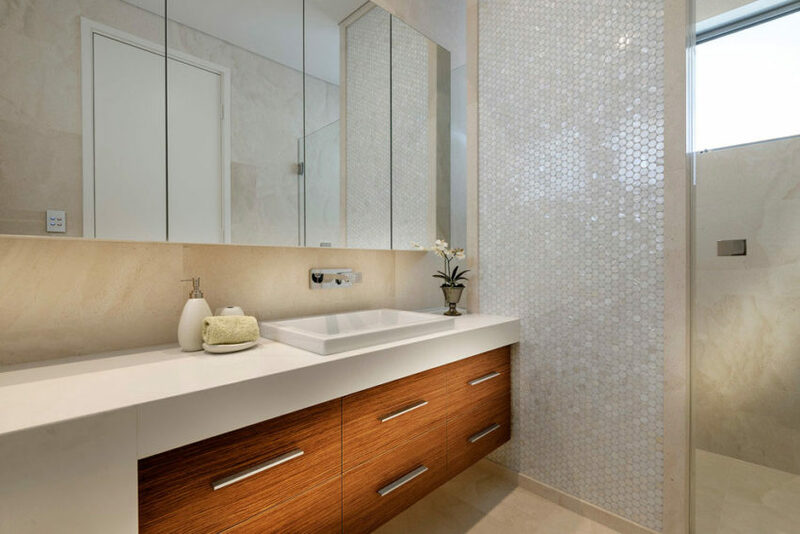 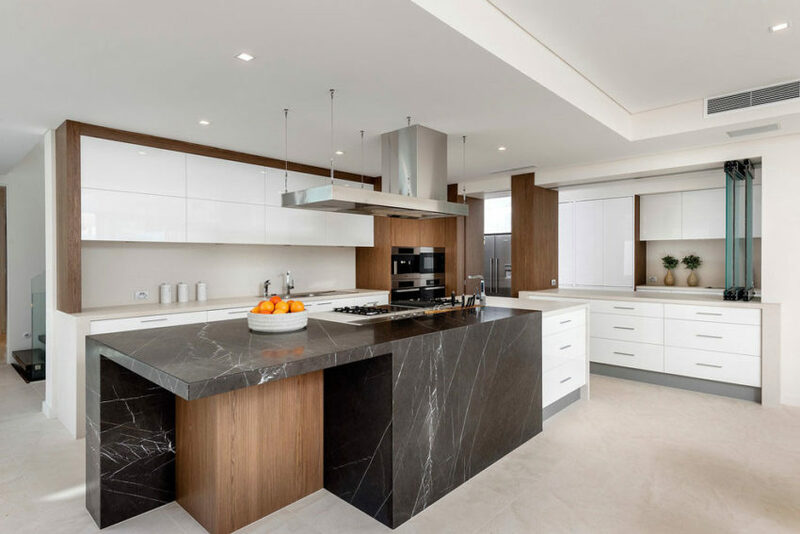 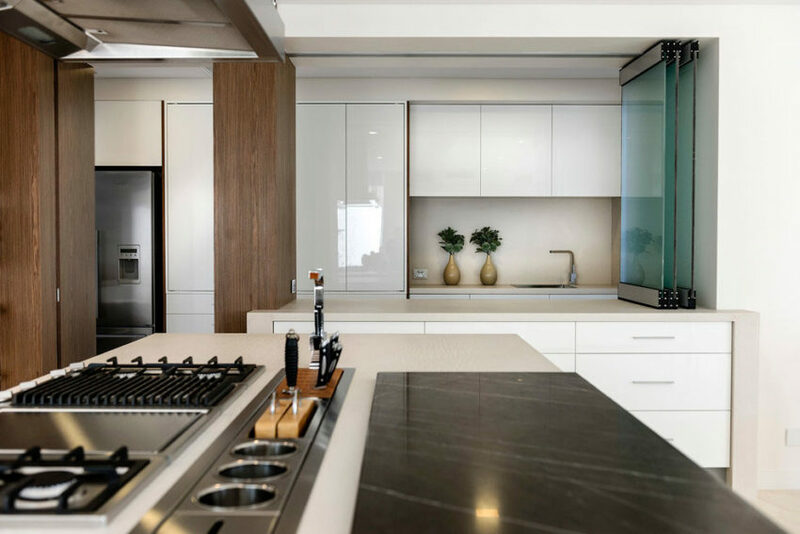 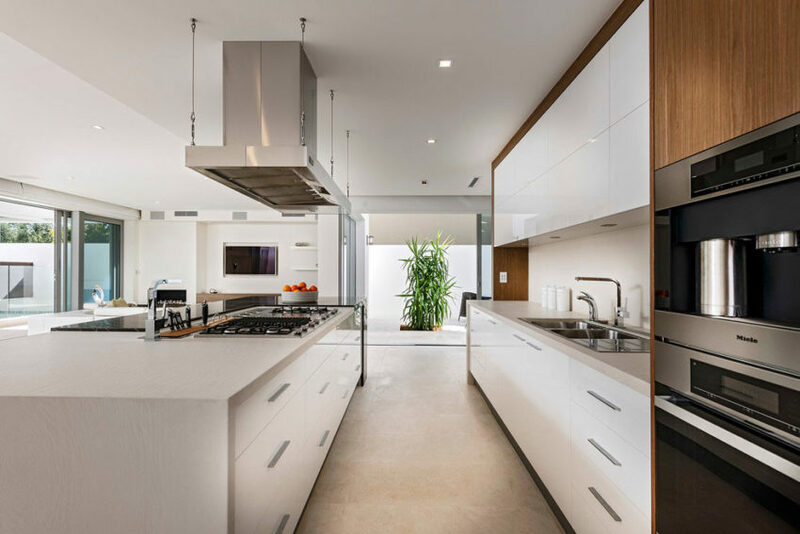 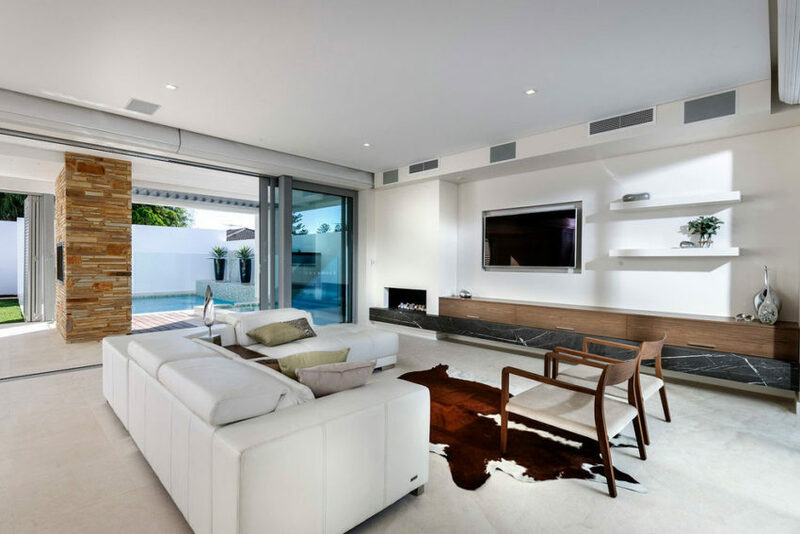 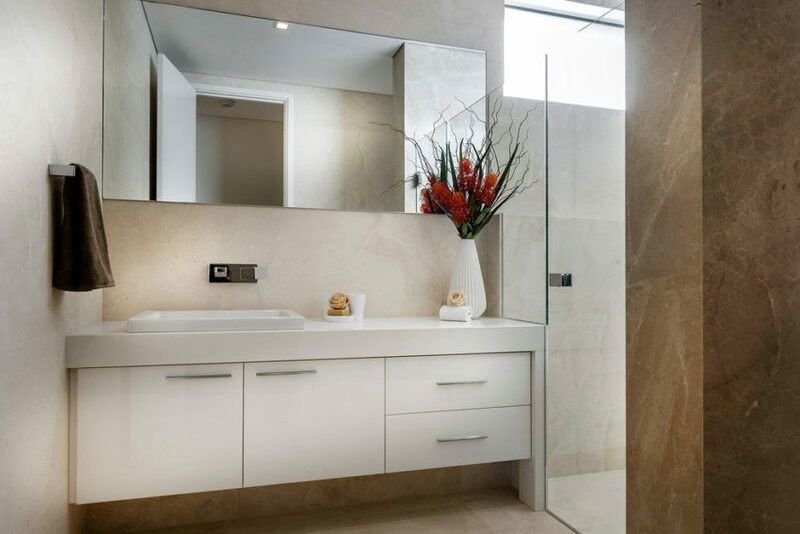 Geraldine Street Cottesloe is a private home designed by Signature Custom Homes. 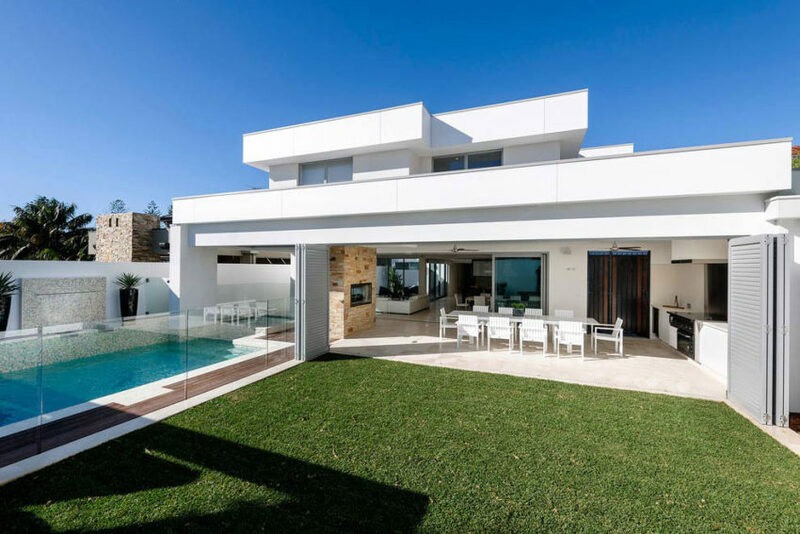 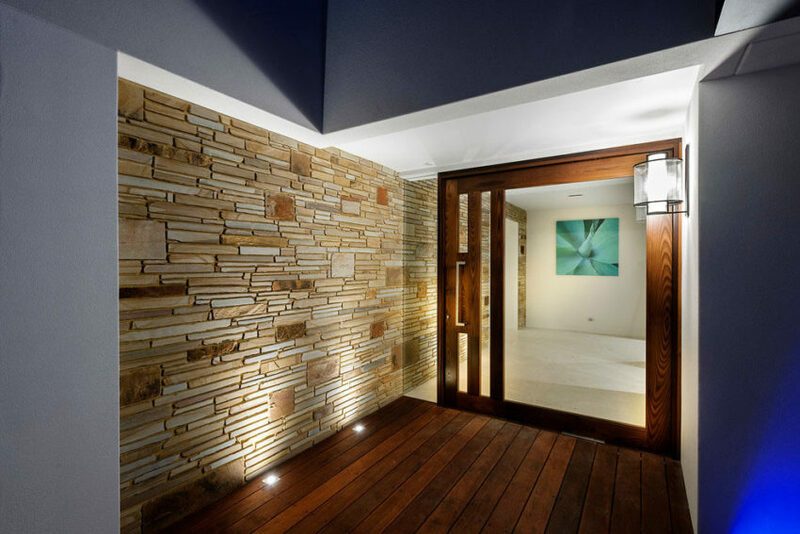 The home is located in Cottesloe, a suburb of Perth, Australia. 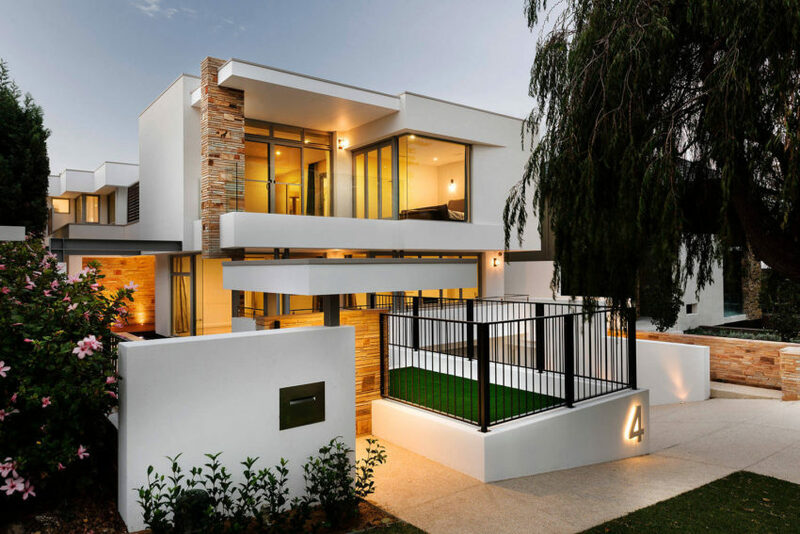 “This very contemporary 3 storey home is designed to cater for a young family’s needs now and into the future. 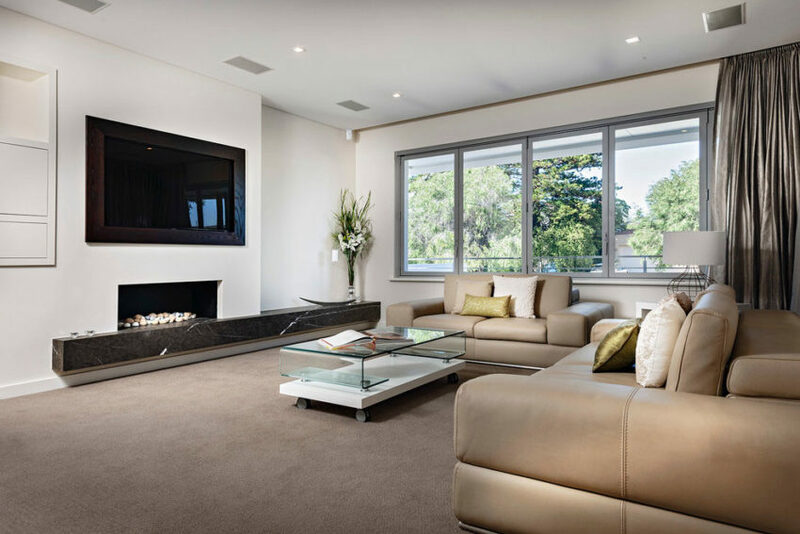 The home, which is completely automated, features finishes including natural stone flooring throughout, solid stone benchtops, stone hearths in the two internal fireplaces, custom designed and built feature timber cavity sliding doors with a huge ‘Signature’ pivot front door, feature book leaf stone to the entrance and alfresco areas and much more.